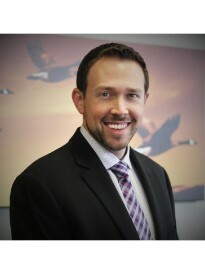 Collin Phaup is the owner of a branch of Goosehead Insurance in Tyler, TX. His agency was the first Goosehead Insurance agency in all of East Texas. Collin is responsible for helping clients in Tyler and all over Texas find the most comprehensive insurance at the best available price by shopping the market for them. Collin specializes in creating and maintaining professional relationships with realtors and mortgage professionals, who by partnering with Goosehead, enhance their clients’ experience and create opportunities for repeat and referral business. He has been licensed in property & casualty and life & health insurance since 2005, and, in September of 2008, he attained the professional designation of Certified Insurance Counselor (CIC). Collin is committed to being responsive to his client’s total insurance needs, and considers after-sale service and professional counseling to be hallmarks of his agency. Collin is President of the board for Next Step Community Solutions and also serves on the Board of Directors for Azleway. He was the Women’s Council of Realtors – Tyler Chapter Affiliate of the Year in 2014, and was the #1 ranked Goosehead agent in the nation for Client Satisfaction and Excellence in Quality in 2014. Collin is surrounded by beautiful women at home with his wife Crystal and their two daughters.